This fall, I successfully completed the American Mountain Guides Association (AMGA) Advanced Rock Guide Course and Aspirant exam in Red Rocks, Nevada. I decided to to seek outside training and evaluation from the AMGA to broaden my proficiency as an instructor, enhance student outcomes, improve course quality, and provide and enriched level of instructor coaching and mentorship as a NOLS course leader. 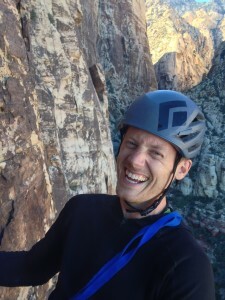 Since taking my NOLS Instructor Course in 2009, I have received invaluable coaching and mentorship from the many talented NOLS climbing instructors with whom I have had the pleasure of working. It was gratifying to pass the aspirant exam and see that the competence I have developed through years of working at NOLS has been on par with the industry standard. 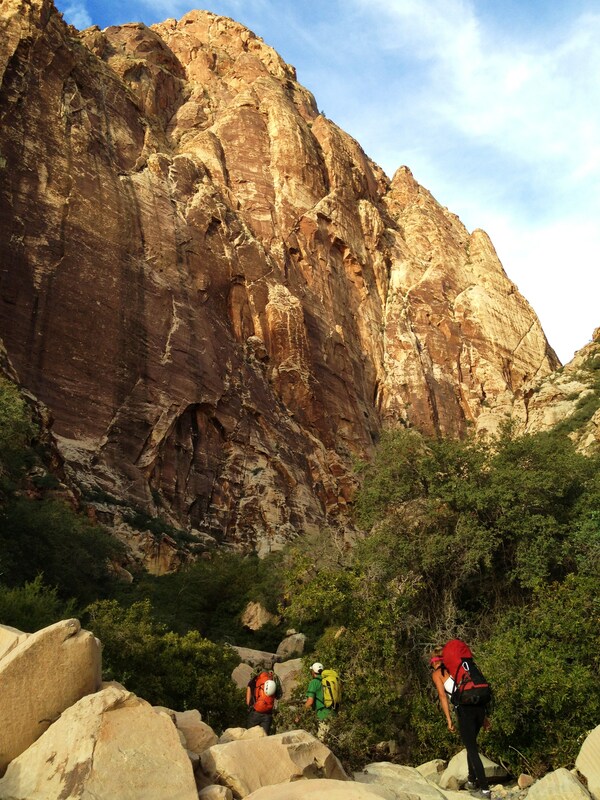 The 10-day Advanced Rock Guide Course and Aspirant Exam is the second course in a three-course progression toward becoming a nationally certified rock guide. Days were long and rigorous. I was tested on my climbing technique and climbed over 80 pitches reaching 5.10+ in difficulty. At the start of the course, I was required to execute a series of timed vertical rescue scenarios that challenged my improvisation and proficiency with technical skills as well as my ability to work under pressure. The instructors on the course, all internationally certified mountain guides with decades of experience, helped me focus and refine my multi-pitch belay and rappel transition techniques, free rope end theory, and short rope and short pitch techniques to ensure student safety on exposed terrain. The instructors gave me on-the-spot feedback and advice, and they also hosted formal debriefs at the end of each day. Assessment areas throughout the aspirant exam section of the course included risk management, client care, professionalism, terrain assessment, mountain sense, and pedagogy. In addition to learning all these new techniques and technical skills, the most valuable lesson was the importance of applying the right technique at the right time. This is a fundamental NOLS leadership skill I teach my own students: judgment and decision-making. Passing the AMGA Aspirant exam leaves me feeling more confident in my skills and knowledge and prepared as an instructor. I look forward to applying for the final rock guide exam next fall and becoming a nationally certified rock guide. NOLS is a nonprofit global wilderness school that seeks to help you step forward boldly as a leader.